The book contains a fascinating collection of photographs which traces some of the many ways in which Wotton-Under-Edge has changed and developed over the last century. Wotton-under-Edge , standing at the foot of the Cotswolds and tracing its roots back to Saxon times, has seen much change over the last 150 years. The industrial revolution, and the transformation of the transport industry, has greatly affected both the architecture and everyday practices of the town. Some of these changes have been small and gradual, some monumental. Once-empty streets are now cluttered with parked cars, new housing estates have spread outwards and the old woollen mills have found new life for a variety of businesses. 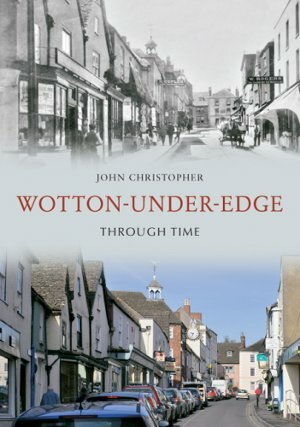 This book with take readers on a photographic guided tour of Wotton-under-Edge, past and present, and highlight some of the startling changes and stolid similarities of the town. John Christopher is an acknowledged expert on Isambard Kingdom Brunel and is also the author of Paddington Station Through Time and Isambard Kingdom Brunel Through Time for Amberley Publishing. He lives in Wotton-under-Edge, close to one of Brunel's original main lines.